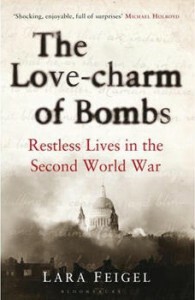 Lara Feigel, the author of The Love-charm of Bombs: Restless Lives in the Second World War, was one of the interviewees on a very interesting, 2013 episode of BBC's The Culture Show entitled "Wars of the Heart". "Wars of the Heart" explained that whilst for many Londoners during the Second World War, the Blitz was a terrifying time of sleeplessness, fear and loss, some of London's literary set found inspiration, excitement and freedom in the danger and intensity. 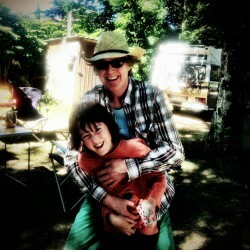 The imminent threat of death giving life an immediacy, spontaneity and frisson absent during peace time. The Culture Show documentary seems to have been inspired to some extent by The Love-charm of Bombs: Restless Lives in the Second World War as they both cover similar territory, albeitLara Feigel's account goes into much more detail. In this book, Lara Feigel explores the war time experiences of five writers: Graham Greene, Elizabeth Bowen, Rose Macaulay, Henry Yorke (aka Henry Green), and Hilde Spiel. During the Blitz, and with the very real chance of not surviving the next 24 hours, the social classes mingled more freely, in the underground and the streets, and, in some cases, with partners and/or children evacuated, there was the opportunity for extra marital affairs. Between them, the writers profiled were variously ARP wardens, an ambulance driver, and an auxiliary fireman. Hilde Spiel was the odd one out, being an Austrian exile, with responsibility for her parents and a young child. Her story is an interesting and informative counterpoint to those of the other four writers. Lara Feigel uses letters, diaries, and fiction, along with historical information, to illuminate the lives of these writers during and after the Second World War, before summarising what became of them all.